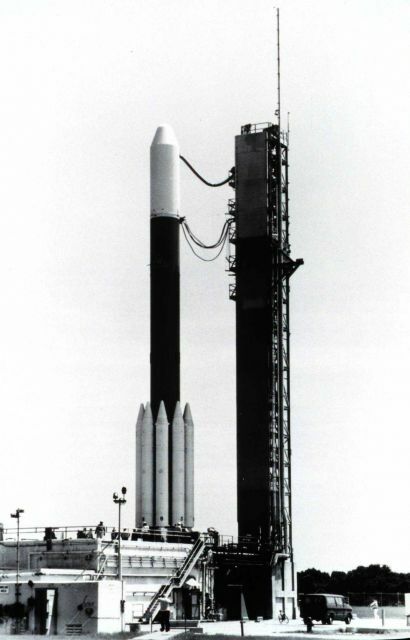 GOES-D sits atop Delta 152 Launch Vehicle moments before ignition and liftoff. GOES-D became GOES 4 when placed in orbit. This satellite was placed in geosynchronous orbit 22,300 miles above the nation of Colombia in South America.